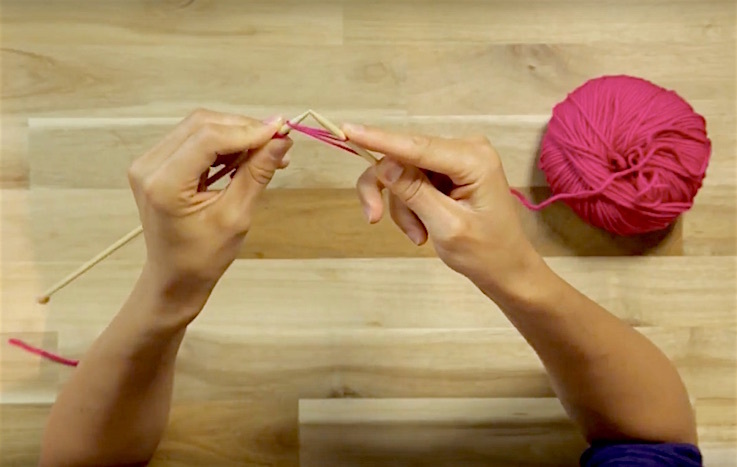 If you’re a new knitter, learning how to make a slip knot is an essential first step before you cast on for that first knitting project. 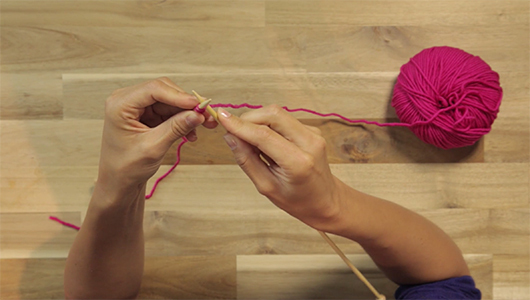 A slip knot produces a loop in your yarn that can be adjusted around your left hand needle so you can cast on. Once you have your needle and yarn at the ready, mastering the slip knot is the next essential step. 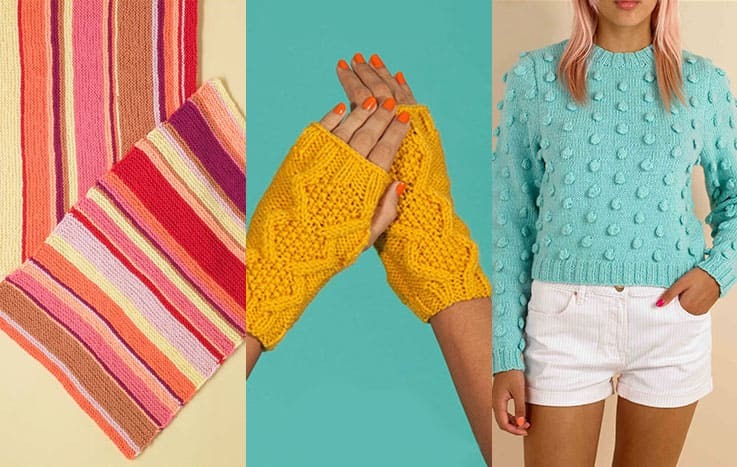 In this simple and easy step by step guide we’ll show you how to make the perfect slip knot, to set you off on your knitting journey. In order to make a slip knot, take the yarn and make a loop folding the right side over the left side. 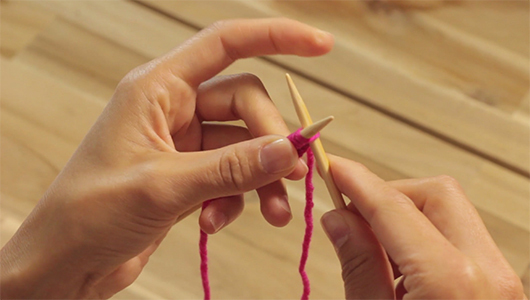 Using your thumb and index finger pull the yarn through the loop to form a knot. Pull on the yarn on right side to make the knot smaller. 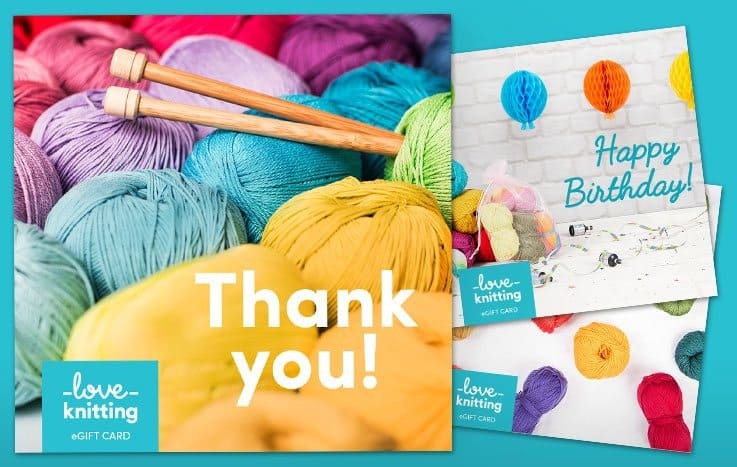 Take a needle in your right hand, insert it upwards through the knot and tighten it by keeping the working yarn secured in your right hand and pulling the end of the yarn with your left hand. Sometimes the slip knot can look too loose at the beginning of the row. 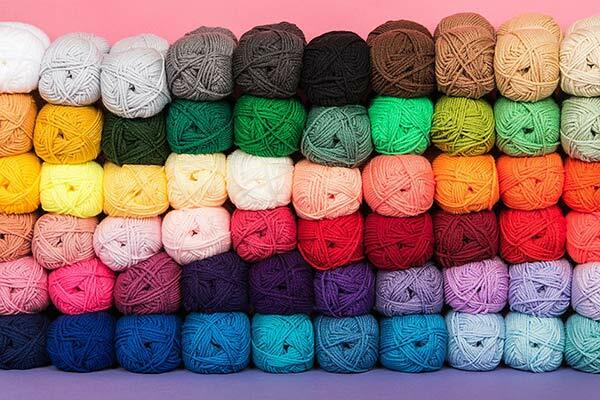 To avoid this, don’t include it in the stitch count and unravel once you have finished the cast on row.